Martial arts is something with which I’ve always find interesting and fascinating. Karate was my first martial arts when I was still in primary school. I practised it for only two to three years though, after which I stopped partially due to studies and partly because I found it too rigid and slow. But I agree it has its own strong points as a martial art. Actually I know very little about Ninjutsu. I was exposed to it only through my brother who was, and still is, a practitioner of this martial art. The art of the Ninjas, it is a rather intriguing martial art which I would like to learn more about. I guess it is more popular nowadays thanks to the anime Naruto. But surprisingly, I heard that Ninjutsu is banned in Singapore, where I currently reside. I do not know whether this is true though. My brother and I did our first website about ninjas a long time ago. 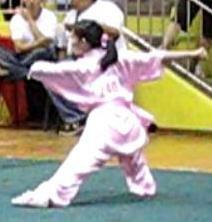 I really started out with Wushu in 2005. I began by learning by myself and from a friend with greater Wushu experience. 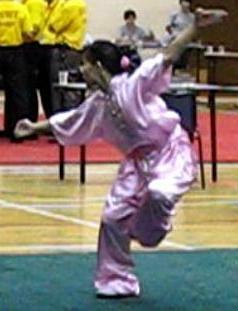 Since then, I have had the chance to get a coach and I have participated in numerous Wushu performances. Presently, I am still practising and learning Wushu, and striving for greater heights. Wushu is more visually appealing and fluid than Karate I must say, and this is why it is my favourite martial art so far. But yes, I do question its use for self-defense, especially in its current form as Wushu Sport. Still it remains an excellent way to stay healthy and to build up character. Wushu is a way of life… The Will to Excel and to Overcome… because Till the End, We Fight. 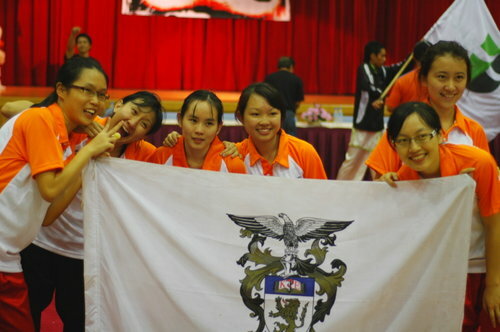 I participated in the Singapore National Wushu Competition in August 2008, in the New International Long Fist (Chang quan) category, representing NUS with my team, KEVII Wushu. Hey lynn!! !lol i need ur permission to draw ‘ta ptit personne faisant du wushu’ lol:P … im doing chinese martial art for my coursework haha top net! want to do it to !!!! are you japanese or chinese?? like what you’re doing ..
Lol no I’m not Japanese. More Chinese =). Thx for visiting my website btw. 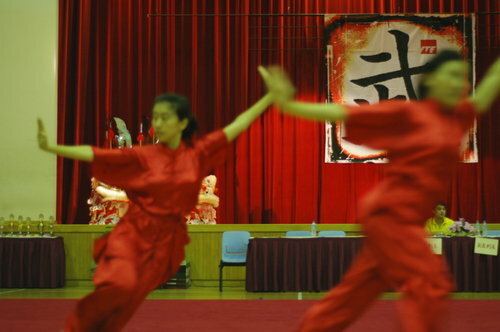 The martial art is called Chinese Wushu/ Kung fu.